To help keep children safe through proper medicine storage, Up and Away and Out of Sight educates parents and caregivers by: reminding them about safe medicine storage; providing them with information and tools to keep their child/children safe; and encouraging them to take action. To learn more about the program and its resources and tools, visit www.upandaway.org (www.upandaway.org/es in Spanish). For more information about what you can do to prevent accidental poisoning, please visit www.poisonhelp.hrsa.gov. 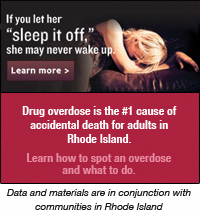 And remember to program the Poison Help number – 800-222-1222 – into your cell phones! Up and Away and Out of Sight is part of the PROTECT Initiative, in partnership with the Centers for Disease Control and Prevention (CDC), the Consumer Healthcare Products Association (CHPA) Educational Foundation, and the Health Resources and Services Administration, among other organizations.